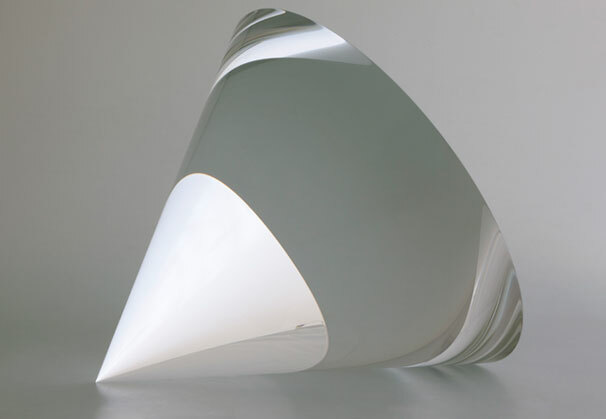 Václav Cigler, 83, is one of the preeminent artists working in glass today. 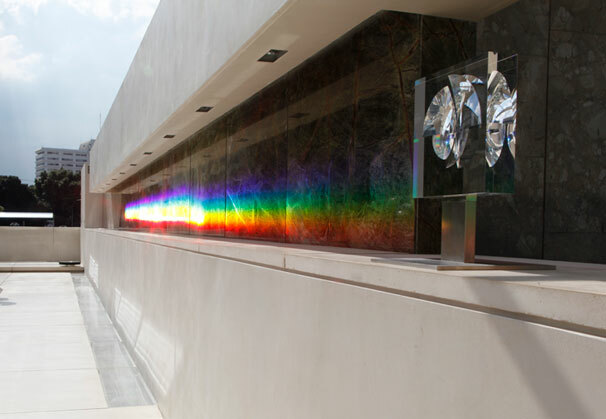 A master of the Czech glass movement for over 40 years, his innovations using optical glass have transformed the possibilities for the glass medium. 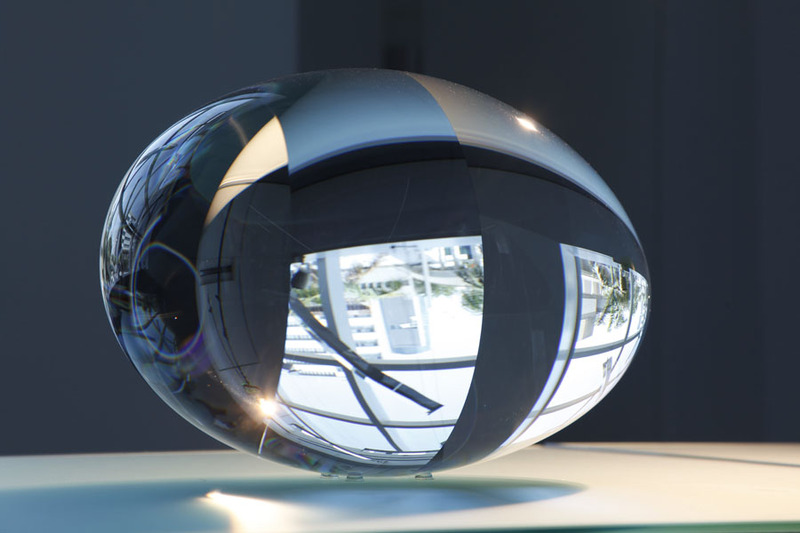 His work focuses on the most essential forms - circles, spheres, cylinders, rectangular elements - in which brilliant reflections and refractions of light play on and through the pieces. Vaclav Cigler is represented by Litvak Gallery, Tel Aviv, Israel. “I still do recall experiences from my childhood, and not only deeply human experiences but also experiences of places, experiences of nature related to the specific landscape of Vestín, its shape and composition, and the constant variability of light and color. I’m still working with those impressions today… I’m always thinking about the viewer and how I can evoke those feelings that go back to the free atmosphere of my youth. 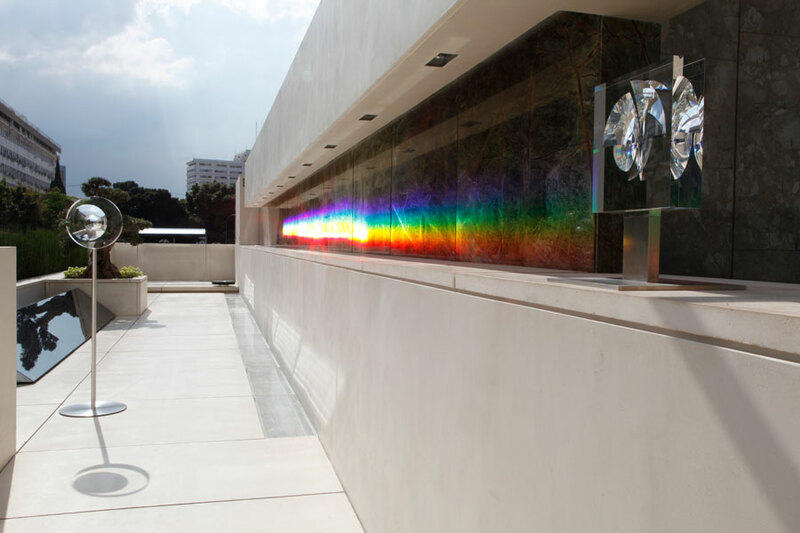 …I was fascinated by the light and color properties of glass. Once I got into the glassmaking environment, I quickly realized that the material inspired me so much that I wanted to work with it for a long time. 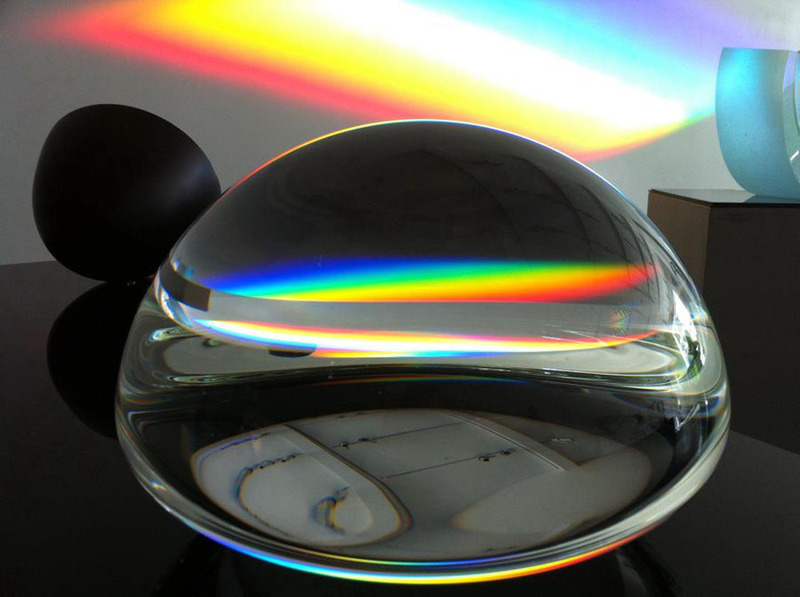 Optical glass, which I’ve worked with since the 1950s, is a material through which one can peer into the mystery of the universe on both a macro and a micro level, discovering things that had been hidden up to that point. For me, it reveals a world made unique with new shapes, light, and colors. 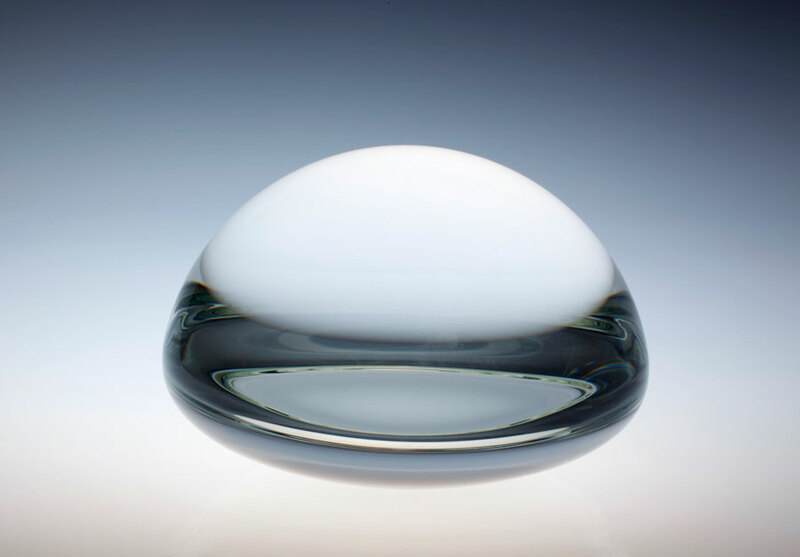 Glass is a magic material, and in a certain sense a spiritual one. 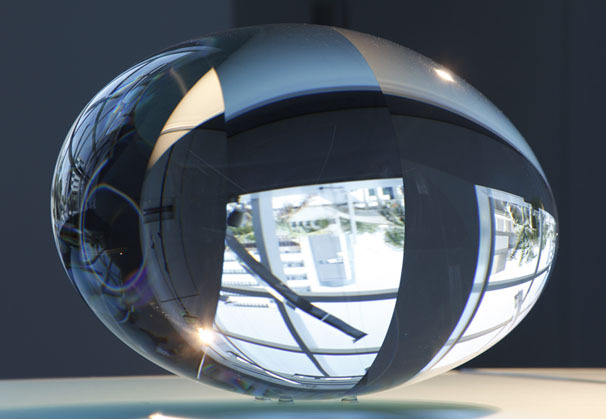 Glass is at once tangible and intangible. Like man, it is both material and spiritual. It has mass and yet it defies mass. Pure like water, transparent like air, it is thought and reality bringing into doubt our sensorial experience and at the same time enriching it with a new understanding. Glass is a box, an envelope, a tool, a mediator, a memory. … Glass is the most imaginative material that man has ever created. The presence of glass in a human space conditions not only the space itself but also an as the user. Glass is for me a pretext for expressing a different spatial and emotional perception of the world. 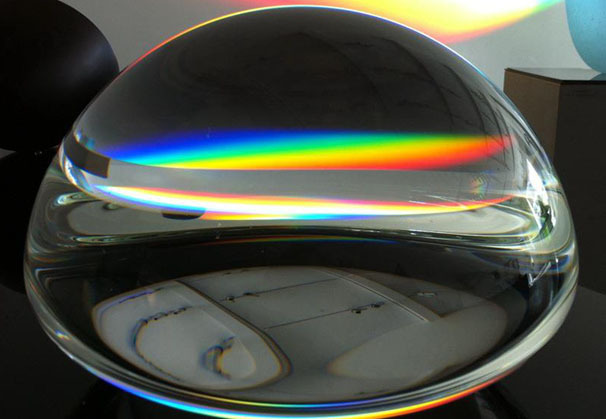 A perception made unique by the optical means offered by this material, as well as by the new possibilities for using it in space… in glass, there’s the authenticity of the material, the discovery that it has uncommon optical and material properties, such as malleability. 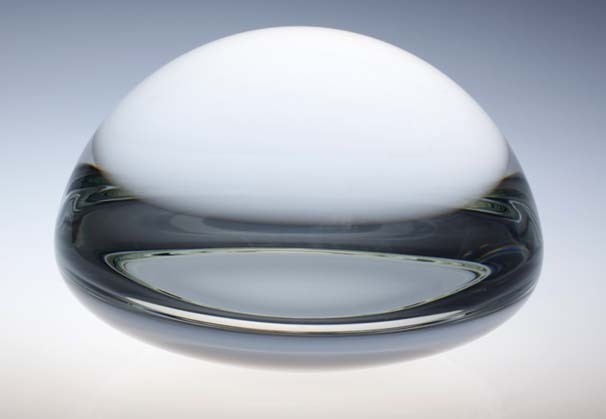 Glass by itself is a sufficient source of inspiration." 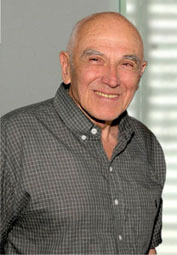 Born in Vsetín in 1929, Cigler underwent the classic Czechoslovakian training. 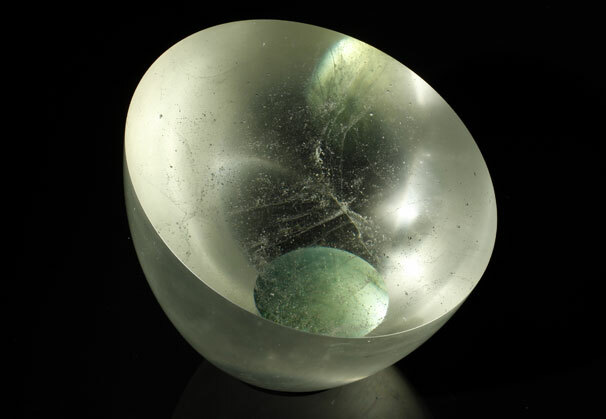 After attending the glass school in Nový Bor, he transferred to the School of Applied Art in Prague, where he studied under Josef Kaplický from 1951 to 1957. Cigler credits Kaplický for creating a studio atmosphere in which the artist felt free to create. 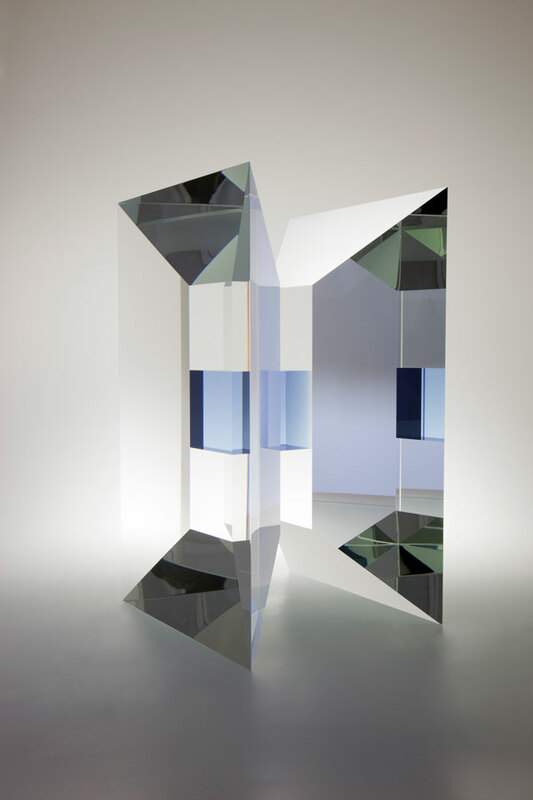 The fact that glass wasn’t officially considered an ideologically unsound artistic medium enabled Cigler to progress as an artist, unrestrained by the communist regime under which so many artists were stifled. 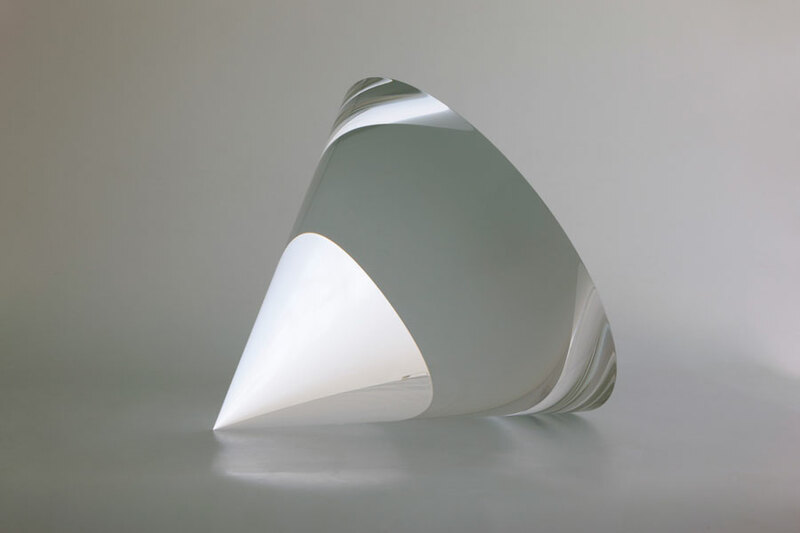 Cigler acquired a reputation in the 1960s for geometrical objects made from cut solid optical glass. The extraordinary craftsmanship required for Cigler’s work in optical glass, which can take months to achieve, employing platinum-coated tanks and diamond tools to perfect the hardness, clarity, and formations of the glass, adds to their sense of rarity as well as to their immaculate precision. 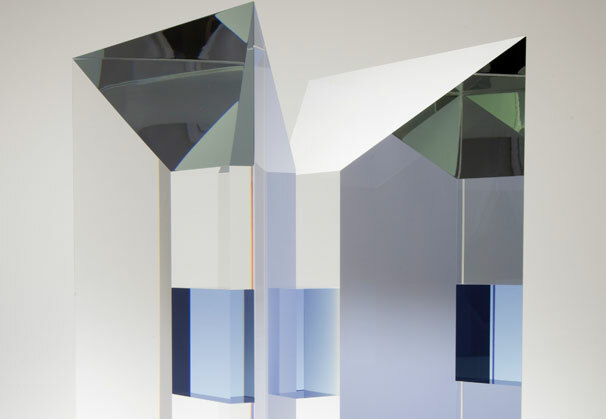 Light plays a crucial role in Cigler’s pieces, reflecting along the edges and in the fissures of the glass. Rather than disrupting the unity of a block by means of reflections, Cigler explores the interplay between interior and exterior spaces possible only with transparent glass. He embraces large formats and has created work for internal and external spaces, in urban and natural settings. Cigler relates to these works as aids for people to exist in harmony with their surroundings. 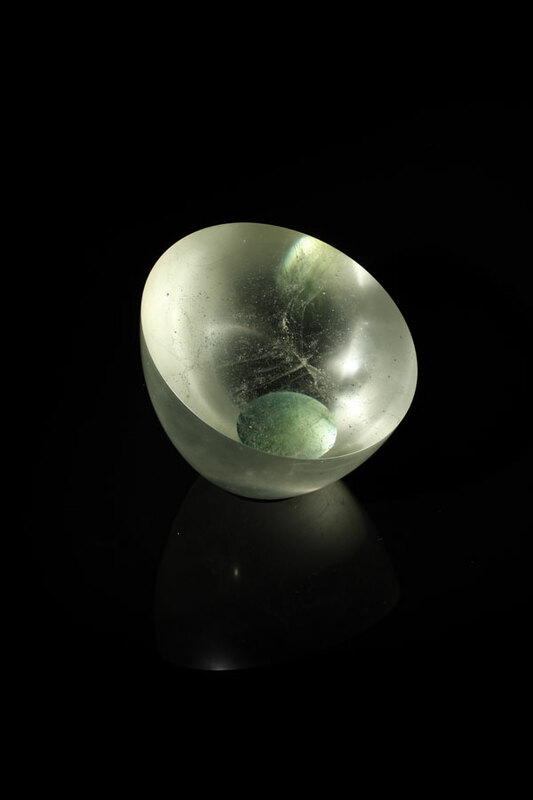 In this way he uses glass to investigate the cosmic order and its meaning. In Cigler’s work, visual beauty is married to minimalist rationality. The art of Václav Cigler invites us to pay our closest attention to light and space - pulsing, shifting, and constantly surprising our eyes. 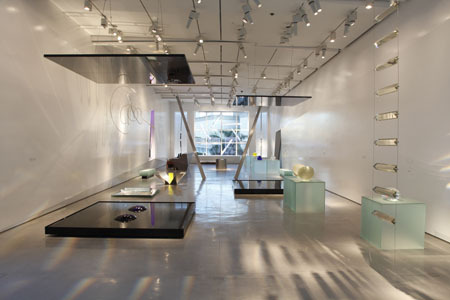 Cigler's work and installations have been displayed in Europe, North America and Asia. His work is included in numerous prominent collections, including Corning Museum of Glass in Corning, New York; Glasmuseet Ebeltoft in Ebeltoft, Denmark; Kunstsammlungen der Veste Coburg in Cobug, Germany; Musée des Arts Décoratifs in Paris, France; Slovakian National Gallery in Bratislava, Slovakia and Victoria & Albert Museum in London, England. Cigler is the recipient of numerous honors, including the 1968 Prize for Decorative Art of the Union of Czechoslovakian Fine Artists and Honorary Prize at the 1985 Zweiter Coburger Glaspreis in Coburg, Germany. 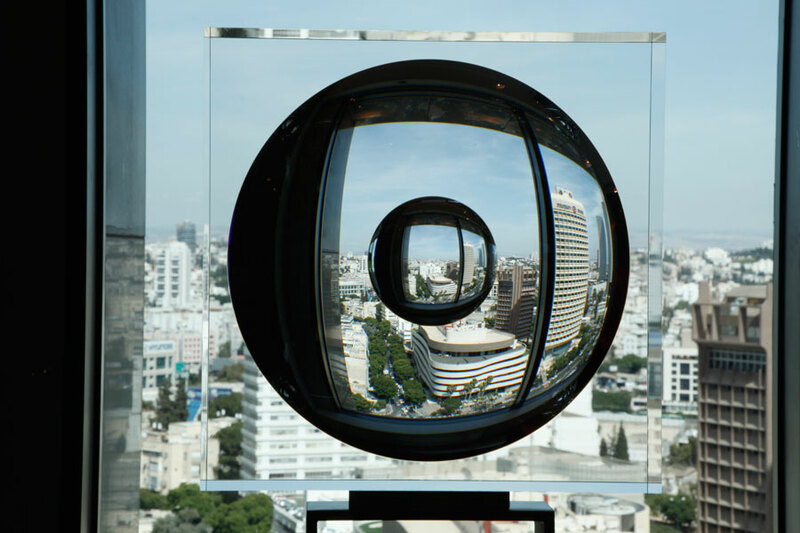 Litvak Gallery has proudly presented Cigler’s work in Chicago, New York, Palm Beach, Shanghai and at three separate exhibitions in Tel Aviv, including his first solo exhibition in Israel. 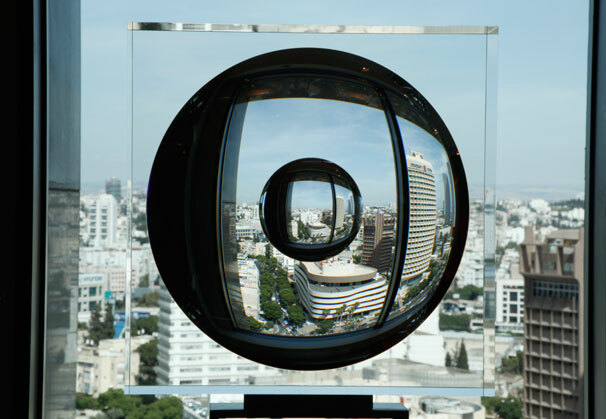 We are grateful to Litvak Gallery, Tel Aviv, Israel, for providing the materials for the Artist of the Month.